It was a bold concept, and it captured the imagination. The idea: ultra-fast transportation, cutting commute times with cutting-edge technology. For Elon Musk’s heavily hyped Hyperloop, that meant trains traveling at astronomical speeds over great distances within low-pressure vacuum tubes. But for Arrivo, the underlying science was tweaked – instead of friction-less vacuum tubes, locomotion would come via magnetic fields. The distances covered would be shorter, but the trains could take passengers, cargo, or even cars. That’s right, Arrivo transportation could’ve meant driving your car onto a pod and zooming past traffic. It’s a bold notion and a fantastic angle of attacking urban transportation problems. Sadly, all signs are pointing toward an untimely end for Arrivo itself. But the Arrivo transportation concept is too bold to die an ignominious death. The time may not be right for Arrivo transportation, but its underlying concept is certain to endure. 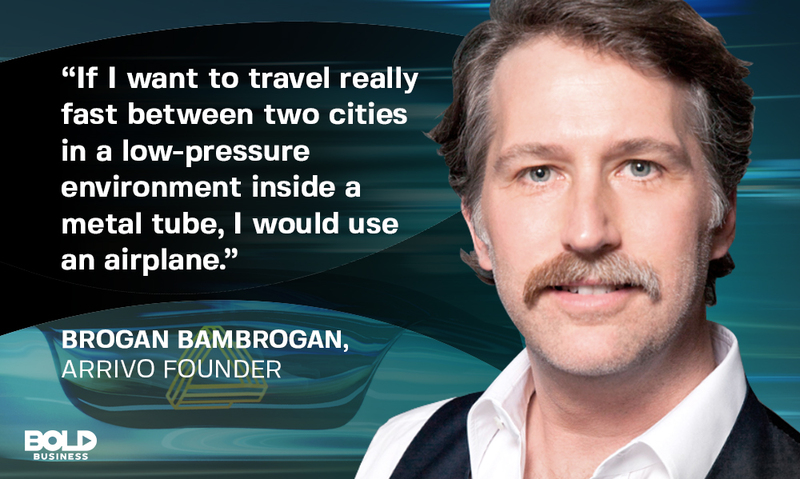 Arrivo CEO Brogan BamBrogan knows that solving urban transportation problems requires thinking outside the box – or tunnel. After centuries of civilization, mankind hasn’t quite yet managed to solve the riddle of urban transportation problems although there are a growing number of breakthroughs. In New York City, that means a crumbling infrastructure of out-of-service subways and frustrated commuters. In Washington, DC, or Los Angeles, or even Chicago, that means soul-breaking traffic. But Musk, ever the visionary, began talking of lightning-fast subterranean trains, and the “Hyperloop” discussion began. Soon, The Boring Company and Hyperloop Transportation Technologies were born, their modus operandi focused on researching and developing solutions to those urban transportation problems. And, so too was Arrivo born – albeit, from a conflagration that nearly consumed the projects. A couple years after co-founding Hyperloop Technologies in 2014, executive Brogan BamBrogan exited the company on the heels of a lawsuit alleging abused funds and labor code violations. But the idea of futuristic train transport was too strong of a concept to leave behind. Hence, the formation of Arrivo. Though the goal was the same – to solve urban transportation problems with high-speed transportation – the two companies differed in their solutions. Whereas Hyperloop would cram passengers into pods that float on thin cushions of air in vacuum tubes, the Arrivo transport would use a magnetized track system. That fundamental difference would mean that Hyperloop trains could travel at up to 700mph. Arrivo transport, meanwhile, would top out around 200 mph but could utilize existing infrastructure. In addition, the intended distances traveled by Hyperloop trains would be far greater. Want to get to a neighboring state in record time? Hop on the Hyperloop. Want to zip past all the traffic on the highway in the comfort of your own car and get to the airport in record time? Welcome to Arrivo transport. Things were on track for Arrivo (note: pun intended). They were setting up shop in Colorado, working with the state’s Department of Transportation on a feasibility study, and planning to construct a test track along the E-470 toll road. But then, last week, the train derailed. Futuristic transportation startup Arrivo shut down its operations this week, The Verge has learned. All of the company’s 30 or so employees were furloughed in late November, with about half being completely laid off at the end of that month, according to two employees who were granted anonymity because they signed non-disclosure agreements. Now, the Los Angeles startup is shutting down because it hasn’t been able to secure new funding, these people say. BamBrogan was never that transparent about the price tag attached to Arrivo. However, Forbes estimated the cost of the Hyperloop One to be around $121 million/mile. Meanwhile, California’s high-speed rail project is expected to cost around $68 billion to complete. The Arrivo transport package was assumed to come at a similar price. If the notion of skipping past traffic while your car sits on a high-speed train appeals to you… well, that’s Arrivo’s concept. The Arrivo transportation project may be dead for now, but its concept is too intriguing to stay dead. Because although rocketing through a deep tunnel to a distant location has appeal, it pales in comparison to the idea of sitting in your car on a train whizzing past traffic. As futures go, the latter scenario just seems so much more feasible – Arrivo’s success notwithstanding. No Hyperloop trains have been completed yet. But the notion of solving urban transportation problems with futuristic trains has captured the imagination, so the public waits. And the wait may be a while, what with the massive tunnels that must be bored out beneath the Earth. Meanwhile, all those highways that would’ve seen an Arrivo transport lane added to them… they already exist. 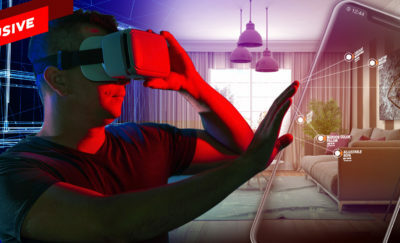 All it will take is for someone to pick up the conceptual baton that Arrivo has dropped, and run with it. Arrivo may be off the tracks, but its underlying concept is too bold to ignore.